A fun night of drinking or partying can quickly turn awry if you get pulled over for driving while under the influence. Not only is it embarrassing, but dangerous, and the results of this crime will linger for the rest of your life. Lessened job opportunities, public ostracization, high fines, a suspended license, and potential jail time are often what many people face as such consequences. For DUI bail bonds help in Avon and Indianapolis, IN, call Indiana Bail Bonds at 317-423-9300 today. Everyone always seems to get the legal terminology and consequences of DWIs and DUIs mixed up. And it is easy to see why. Each state in America regulates and determines their own judicial system. For example, in some states, battery is considered a misdemeanor assault. In other states, battery is not even an option and someone is automatically charged with 3rd degree aggravated assault. The definitions of DWI and DUI also vary from state to state, though the majority agree that arrests will happen if blood alcohol content (BAC) is over 0.08. DWI stands for “driving while intoxicated” and DUI is an acronym for “driving under the influence.” While most people correlate DUIs with drunken driving, you are more likely to get charged with a DWI for driving while inebriated. 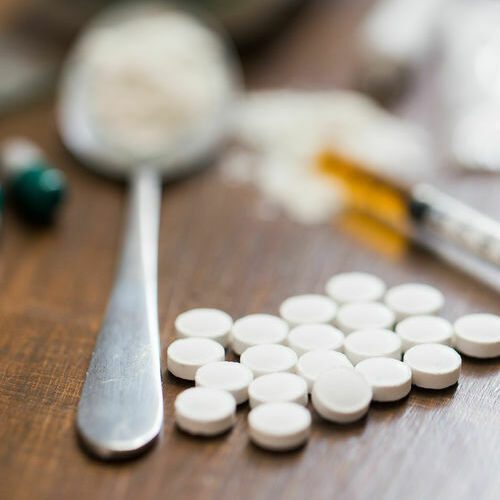 DUIs are a broader terminology that can also encompass being under the influence of illegal drugs or any other controlled substances. So, which is worse DUI or DWI? If you live in a jurisdiction that classifies the two separately, DUI is the lesser charge. What is the Punishment for First Time DUI? 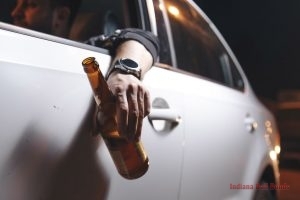 You may be wondering ‘will I go to jail for my first DUI?’ or ‘do I need a lawyer for first DUI?’ Generally, first DUI charges are considered misdemeanor offenses and only result in hefty fines and probation. In some states that only have DUIs, if you test higher than 0.08 BAC, you could be arrested. If that happens, you will need to call for DUI bail bonds. If you are in a state that has both DWIs and DUIs, the percentage of your BAC determines your charge and whether or not you will go to jail. For instance, in Texas if you have a BAC of 0.05-0.08, you will be charged with driving under the influence, which is misdemeanor. If you have 0.08 or higher, you will be charged with a criminal offense and be arrested for a DWI. Can DUI charges be dropped? If they are a misdemeanor, then usually yes. More serious felonies often will not. If you have been arrested at a “sobriety stop”, there is a slim chance that you might be able to file an appeal under the notion that there are DUI checkpoints that are legal and not in certain states due to unlawful search and seizure from the 4th amendment. How Long Does DWI Stay on Your Record? If you end up getting charged with a criminal offense, then you will need a lawyer. People often ask ‘can DUI charges be dropped?’ After 10 years, the charge will be removed from your driving record, but stays on your permanent record forever. That means that potential employers can always see this, but since DUIs are a lesser charge than a DWI, it is more acceptable. If DWI is the more serious offense, that means that it surely stays on someone’s record longer than the minimum 10 years that a DUI stays on someone’s driving record. All DWIs but will count as Class B misdemeanors to felony charges, meaning that a minimum of 72 hours behind bars is required. 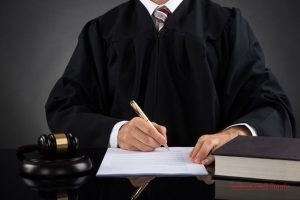 Depending on the outcome of the case, there are loopholes called expunction that defendants may be eligible to apply for to erase the DWI from their record. Certain criteria like being pardoned or found not guilty must be proven. Do be aware that you can get DUIs without driving! Even if the car is not turned on, but you are behind the wheel and inebriated, you can be charged with a DUI that goes on your record forever! The safest thing to do is always plan ahead. If you know you are going to be drinking, have a designated driver or plan to take a ride home. Don’t drive yourself to the drinking location in the first place as it makes you feel obligated to drive home inebriated in order to avoid towing fines. In fact, the consequences are much more severe and costly if you end up getting a DUI and will last a lifetime. For DUI bail bonds help in Avon and Indianapolis, IN, contact Indiana Bail Bonds at 317-423-9300 today. Posted in Uncategorized on December 11, 2018 at 4:01 pm by Indiana Bail Bonds. After you are arrested and post bond, one of the agreements between you and the judge and court is that in order to regain your freedom, you must show up at the scheduled court date for punishment of the crime you committed that got you arrested. 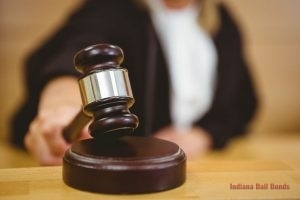 If you have missed court in the state of Indiana, a judge can issue a bench warrant, where police can arrest you and jails can hold you without bail until your court date. Sometimes, you are allowed to post a bond at a higher fee. 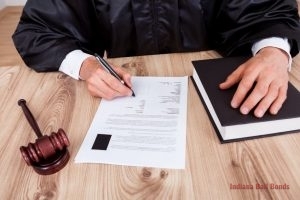 If you have been issued a bench warrant and need bond guidance, Indiana Bail Bonds can help if you have missed your court date in Avon and Indianapolis, IN. Call us at 317-423-9300. If you miss one court date, a warrant for your arrest is issued for you. Something so simple as a traffic stop for a broken headlight can get you placed in jail. Sometimes people don’t even know that they have a warrant out for their arrest, or forget that they have a court date approaching. You can check online to see if there is currently a warrant out for you and call the county clerk to verify your court schedule to ensure you don’t miss them. If you do fai to show up to court, you can get serious consequences. If your warrant was for traffic violations, your license will be suspended until all charges are handled. Have your court fees increased. Posted in Uncategorized on October 12, 2018 at 3:12 pm by Indiana Bail Bonds. Certain DUI Charges Can Be Tried as Either a Misdemeanor or Felony. Do you know that some crimes can be charged as either a misdemeanor or a felony? It’s true and very scary. By law, many criminal misdemeanors sit on the cusp of felonies (and vice versa). The circumstances and people behind each of these offenses can greatly effect the outcome. Here’s a brief guide on this strange legal terminology, plus what it could mean for a loved one facing criminal charges. What is a Wobbler Crime? So how do you know whether a crime will be prosecuted as a misdemeanor or a felony? It all depends on the circumstances surrounding the crime, as well as the inclinations of the case prosecutor. For instance, if a college student is arrested for the latest DUI in a history of DUI convictions, the prosecutor may opt to press felony charges. Of course, these crimes can wobble both ways. Prosecutors and judges both have the option to escalate or de-escalate a crime based on their opinion of the case. This can occur at several points during a case: including the preliminary hearing, sentencing, and even after probation. Bail for a wobbler crime can go either way. The price on assault bail bonds, for instance, can vary greatly depending on the circumstances and outcome of each event. If you have a loved one that’s been arrested for a crime that tilts towards a felony charge, you may want to contact your local bail bondsman for assistance. Call for Your Misdemeanor Bail Service? Are you or your loved one in need of DUI bail bonds service in Avon and Indianapolis, IN? We’d be happy to help with your bail bond! Give our team a call today at 317-423-9300. Posted in Uncategorized on September 11, 2018 at 3:11 pm by Indiana Bail Bonds. What Does it Mean When a Person is Denied Bail? 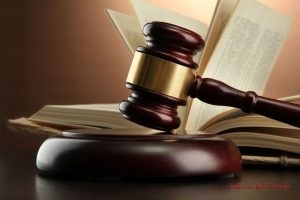 In Criminal Cases, Bail is a Privilege That Can Be Removed at the Discretion of the Case Judge. Many people believe that paying bail is an inalienable right. Did you know that paying bail is a privilege that can be revoked in certain criminal cases? If this happens, you (or your loved one) could face days in jail prior the schedule court appearance. If you are arrested for a misdemeanor or felony charge, make sure you understand the process of how bail price is decided and why someone may be denied bail. When someone is arrested for a suspected crime, the price of bail is set by a local judge. 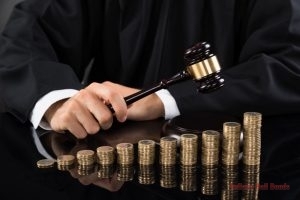 There are a few factors that come into play, but the two that impact bail price the most are the criminal history of the defendant and the nature of the crime. For instance, the price of a DUI collision case will be much higher than a first-time minor drug possession case. However, there are some circumstances that might cause a judge to deny or revoke bail. The first three reasons are pretty straightforward. If a suspect has a history of running from law enforcement (or if they previously escaped from incarceration), a judge will probably deem them a flight risk and will deny bail. If the suspect has been accused of murder or shows a high probability of attacking an alleged victim, bail is often denied automatically. In some criminal cases, such as a possession or DWI charge, a judge may imposes restrictions or conditions of bail. This may be an order to refrain from alcohol or an order that confines the subject within the state (until trial). If any of these bail conditions are violated and judge may revoke bail and have the suspect remanded into police custody. One of the best ways to get started on your criminal case is finding an attorney that specializes in your specific criminal case. They’ll help you navigate your case and lower the likelihood of you being denied bail. You can learn more information about the bail process or arrange for your bail bonds through our team at Indiana Bail Bonds. Give us a call at 317-423-9300; we’d be happy to help you with bail needs! Posted in Uncategorized on August 7, 2018 at 4:29 pm by Indiana Bail Bonds. 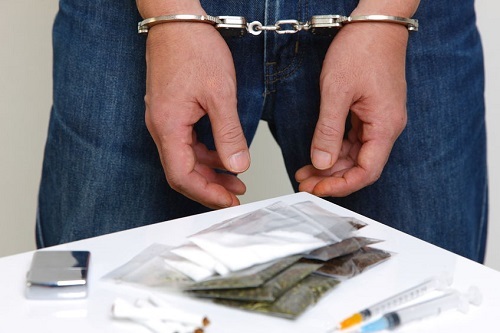 If You or a Loved One Has Been Arrested, Be Sure to Contact a Defense Attorney First. If you know someone who’s been arrested before, then you understand the process can be very stressful. While it may feel like the end of the world, you can still take back some control. Here are three steps to take once you’ve been arrested. While it may be tempting to talk to all your friends and family members first, you need to get someone in your corner. Contact a criminal defense lawyer as soon as possible. With an attorney on hand, your legal process will go much smoother. Once you have a court appearance scheduled, contact a bail bondsman. Many people forget this step until after the bail price has been set. However, if you bring a bondsman with you to your court appearance, you can arrange things so you will have little to no jail time before your trial. This reduces or prevents entirely the strain of spending time in jail. While your attorney will help you organize court appearances, arriving on time is ultimately up to you. Write down the location, address, date, and time of every scheduled court appearance you have. Arrange your time off work and get someone you trust to drive you to each court appearance. You’d be surprised how important it is to have someone to support you when appearing in court. If you’ve been arrested and need a bail bondsman, or if you’d like to learn more information on behalf of a friend, you can contact our office at 317-423-9300. We’d love to help you any way we can! Posted in Uncategorized on June 1, 2018 at 11:53 am by Indiana Bail Bonds.